One of the most beautiful cathedrals in the world. 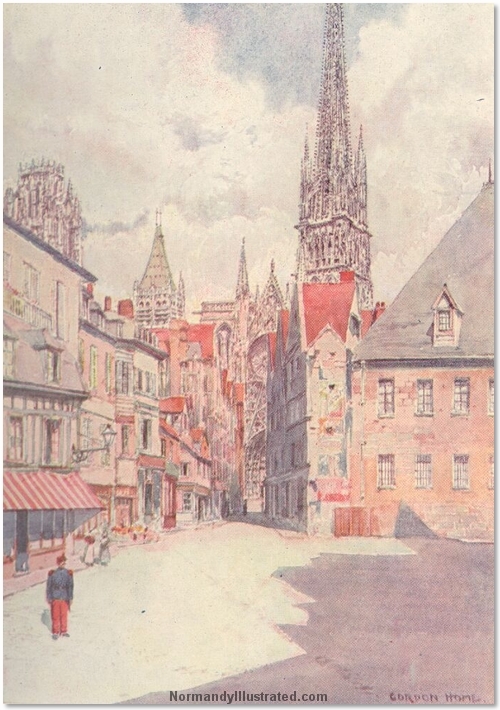 The Rouen cathedral was built in stages from the 12th to the 16th century. Over the years the cathedral was damages and restored many timesdue to wars, most severely during World War 2 when allied bombs fell on the cathedral amid the D Day landings.